Prior to 1837, keeping records in Britain was pretty much the responsibility of the member of the community known as 'that guy who knows how to write stuff down'. 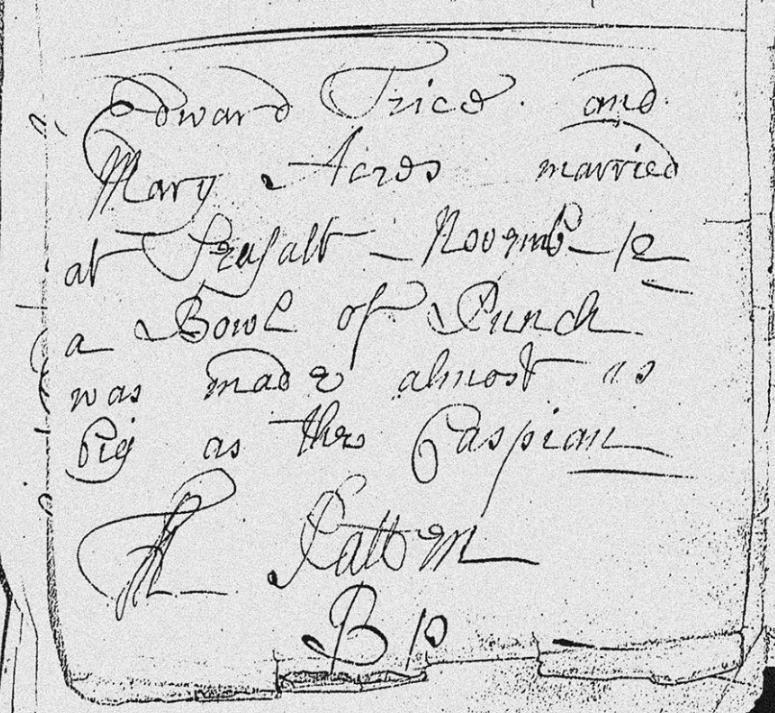 Conveniently, this was usually the local vicar, who was under decree to keep a record of births, marriages and deaths in his parish from 1538 onward. 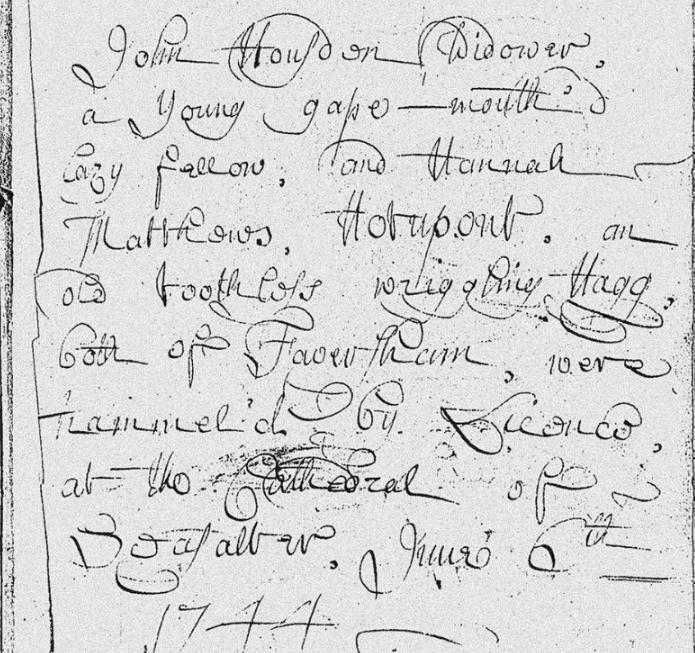 In case you're struggling with Tommy P's writing there, he describes the groom as a 'young gape-mouth lazy fellow', and his beloved new wife as 'an old, toothless, niggling hagg'. Patten has gone beyond his remit here, providing biological field notes on the sons and daughters of Faversham, despite there being absolutely no reason for him to whatsoever. 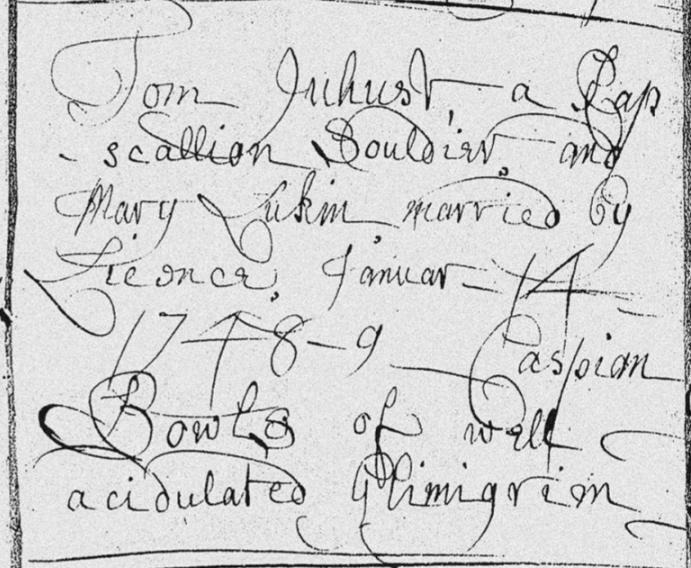 At least he can recognize a decent party, acknowledging this couple's bowl of punch 'almost as big as the Caspian'.